Five things to look for as Penn State and Pitt renew their rivalry in what should turn out to be a fun and competitive game. Penn State has Trace McSorley and an explosive offense, so it should have the advantage. 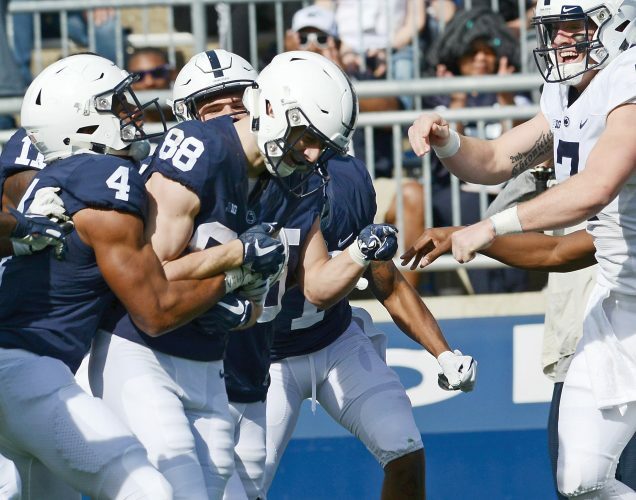 It’s hard to outscore the Nittany Lions, and even if their defense struggles today, which it very well could, McSorley just has a knack for finding a way to get the job done. Two years ago in this game, remember, McSorley did not do that. He threw an interception in the end zone on an ill-advised deep pass with 1:15 to go, ending the Lions’ hopes in a 42-39 loss. 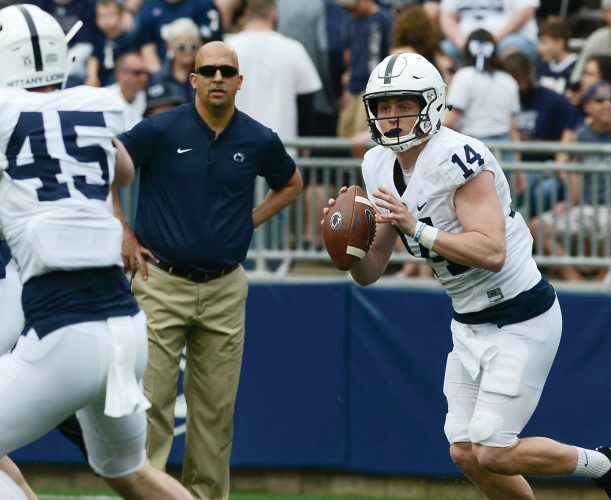 McSorley obviously is a very different quarterback now, and he’s also a tremendous competitor. He remembers how the last visit to Heinz Field ended, so you can be certain he’ll want to atone for it with a big game today. The over/under is 55, and Pitt’s team over/under is 23.5, so Vegas expects the Panthers to be able to score a good bit. Penn State should be able to score more. Pitt will either run the ball well or throw it well. Penn State cannot allow the Panthers to do both, as Appalachian State did in the fourth quarter last week. With a front seven that’s going to take some time to figure things, the Lions are susceptible to giving up running lanes in the middle of the field. Pitt knows this. The Panthers traditionally have been able to run on just about anybody, and they should have a good day on the ground. If so, it will be absolutely imperative for the Lions to get pressure on quarterback Kenny Pickett. He’s a prototypical pro-style quarterback, and if he has time to throw, there’s a good chance he can pick apart Penn State’s secondary. PSU defensive coordinator Brent Pry must come up with a strong scheme and disguise things, which he’s shown an ability to do in the past. But Pry is working with a bunch of new starters who are still getting their feet wet, so it could be too much of a challenge for some of them today if the Lions try to get too cute on defense. It certainly will help if tackle Kevin Givens returns to action for the Lions. He’s a good run stuffer with a lot of experience, both of which will be invaluable in this game. Pitt was unbelievably amped up for the game two years ago at Heinz Field and jumped out to a 28-7 lead before barely hanging on to win. James Franklin actually is very wise in treating every game the same so that his players make sure to respect each opponent and never get too high or too low. That’s a big reason for PSU’s success the past two years, and conversely, Pat Narduzzi may have hurt Pitt at times by focusing too much on games like this and not on other, weaker opponents. But you can also make the case that two years ago, Franklin underestimated just how fired up Pitt would be, and it hurt the Lions early. This is the Super Bowl to the Panthers. No matter what Franklin says, it’s not the Super Bowl for Penn State. All bets could be off if it rains heavily, which is a possibility. Rain is in the forecast pretty much all day, although less than a 50 percent chance for the late afternoon. Sloppy weather often comes down to who can take care of the ball. The Lions have been very good at that in recent years, but that was with sure-handed Saquon Barkley getting the bulk of carries and McSorley throwing to sure-handed receivers. Miles Sanders and the young receivers PSU is counting on now will have to make sure to protect the football. PSU: McSorley. He needs to get the offense to at least 30 points, and maybe closer to 40 to win. Pitt: Offensive line. The Panthers can win this game if they run block and pass block well. Follow@CoryGiger on Twitter for live updates and analysis throughout the game.